Defense Minister orders submarines, naval ships to Kinneret to aid search for three Israelis missing since Wednesday. 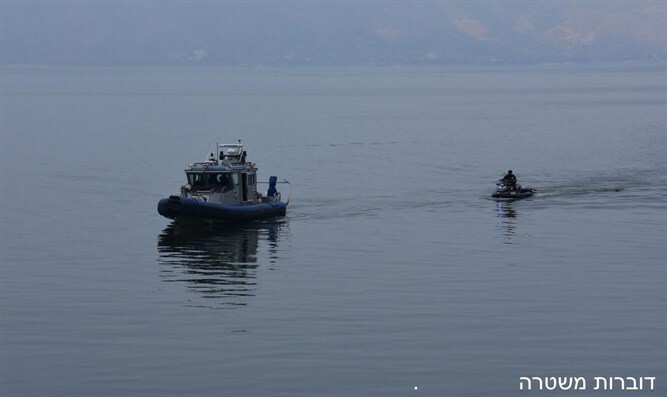 Israel's Interior Minister Aryeh Deri (Shas) on Saturday night told Defense Minister Avigdor Liberman (Yisrael Beytenu) to immediately intervene and aid the search for three people who went missing while rafting on the Kinneret (Sea of Galilee) Wednesday. The three have been named as Itamar Ohana, 19, Nahman Itah, 21, and Liron Karadi, 17. Following his conversation with Deri, Liberman ordered the IDF Navy to send a special ship to aid the search. The ship will begin extensively searching the Kinneret on Sunday morning. Liberman also ordered an elite unit of submarines to aid the search. Deri spoke on Saturday night with the families of the three missing Israelis, and updated them on the government's efforts to find their relatives. Israel Police reported that search efforts had been redoubled, both on the beach and in the air. Most of the searches have been focused on the Kinneret's eastern rim, where eyewitnesses last saw the three. Multicopter drones and advanced technological systems were also used in the search attempts. Culture Minister Miri Regev (Likud) said, "I pray together with the families of the three young people missing in the Kinneret. I hope the search efforts yield fruit and bring the missing back to their families as soon as possible. "I am moved by the dozens of civilian volunteers who have joined the government's search efforts."